It was quite the gamble, but with a pocket full of dreams and a few cash waved up, Gabriel Gatsby bought a small building and has started his own literature/Manga start up company called HIT-Scrolls Entertainment (-HSE-). With the past five years, Gatsby been working on plenty of amazing pieces of work, starting off by pioneering his beloved ONE Punch Frost manga series to start hitting the shelves. Each piece of five years of never before seen work definitely attributes all sorts of qualities, either through a book/literature you pick up or the kind of conversation you end up having with the goers here. So by spending time at the store there is actually a Rand System out of four that determines your gains, and you get 2 to that section for spending your day there. Rules of the manga is that you cant read the same volume twice, you would have to wait until he next issue comes out. More volumes come out through IRL time of months, or if gave gets more government funding to focus more on the work. However, if you read trending volumes during the month that its trending, you gain an extra point. 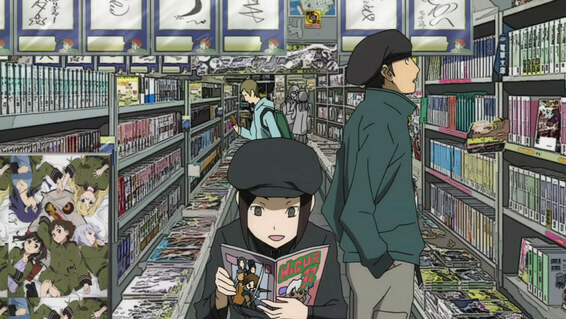 Reading Manga does take time out of your day, so time does move as you continue to read. For every + 2, that does take a time of day of reading, there is no restrictions as to when you read the manga, all that's needed is a small post dictating the time of day and a detail of you involved with the manga. For the rest of the month of September 2016, this month's trending Manga is One Punch Frost Volume 1!!! Reading "The Theory Of Everything" will net you +1 bonus to your reads "Does not affect Time of day"